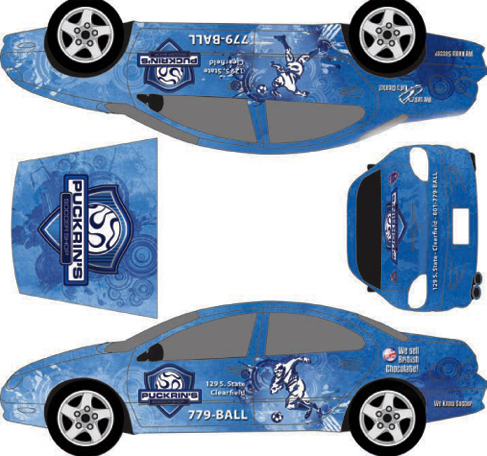 Here is a new vehicle wrap I have designed for Lisa and Glenn up at Puckrin’s Soccer Shop in Clearfield. It is quite a bit different than the design I put together last year. I think It still refelcts the brand direction pretty well and the illustrations were a lot of fun to do. I will post photos once it is produced next month. I don’t enter a lot of contest but this one was short, sweet and offered a free $10 iTunes gift card just for entering. Below is my silly entry. Go to the site and vote for me and your other favorites and maybe I’ll win the grand prize. The first 1000 entries receive the free iTunes card and it looks like there is still plenty of time to enter and win. Join the Fun! You are currently browsing the archives for the Specialty Advertising category.